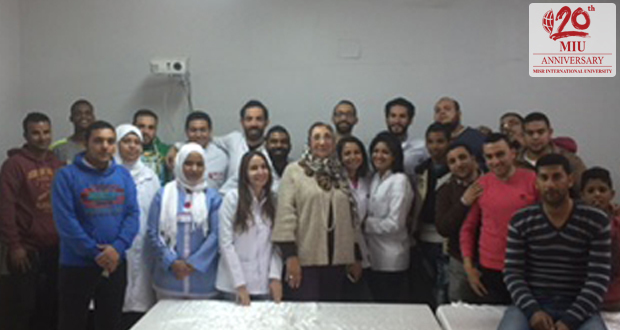 Misr International University believes that we are not living alone and that everyone should have his or her own role and responsibility towards society. 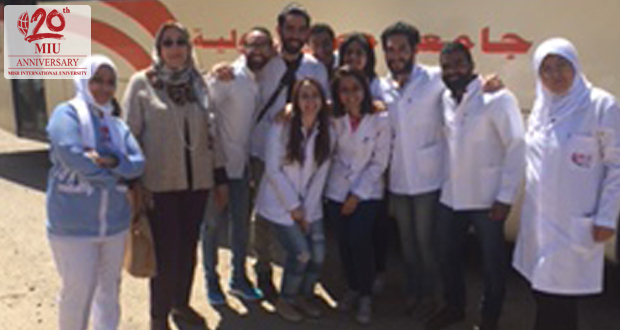 Accordingly, MIU’s Community Service and Environmental Affairs Committee and the Intern Administration conducted a field trip to Al-Madina Al-Monawara orphanage on the 2nd of April, 2016 in 10th of Ramadan City. 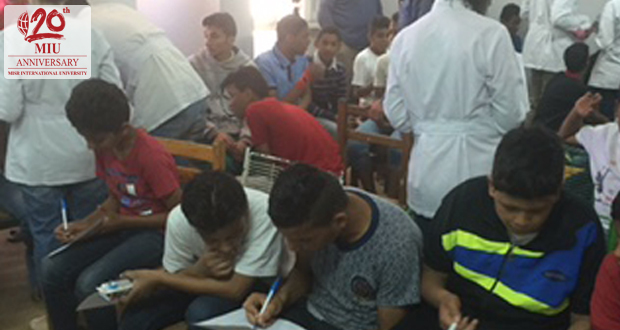 The aim of the trip was to increase awareness of 45 male orphans on their oral hygiene. 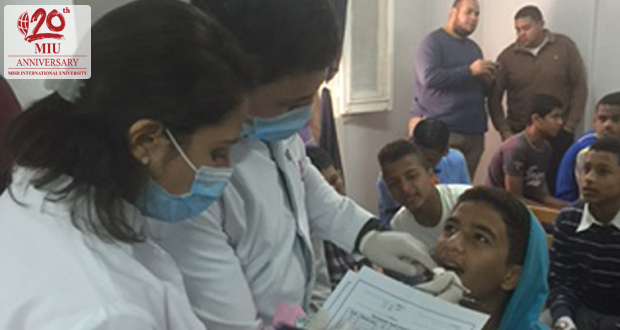 An intra-oral examination was performed by the interns and infection control measures were applied during the examination and continuation treatment was offered to be performed at the MIU.